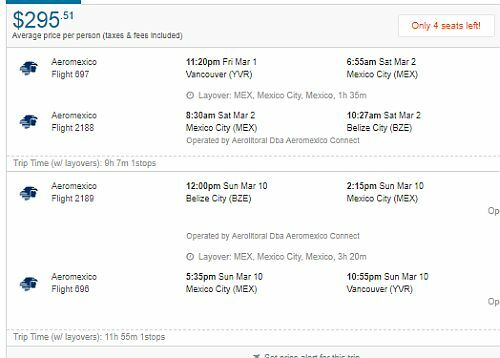 Aeromexico is showing a few flights from Vancouver to Belize for between $273 and $295 CAD roundtrip including taxes. The flights have 1 stop each way in Mexico City, for 90 minutes on the way down, and 3 hours on the way home. NOTE: Mexico City is notorious for taking a long time to get through customs and security. 90 minutes could be an impossible task. 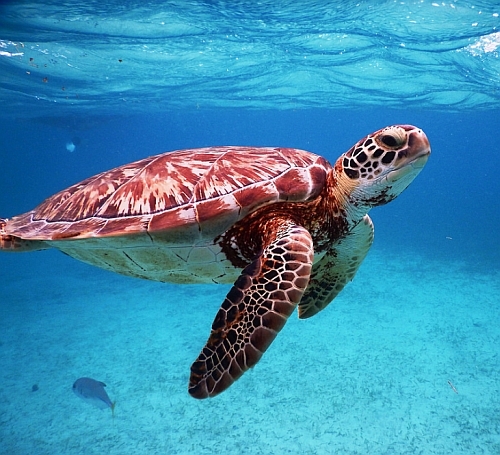 vancouver, yvr, flight deals, central america, belize, bze, aeromexico and belize city.